Classic Line workshop cabinets can be used in workshops, warehouses, service stations and others. 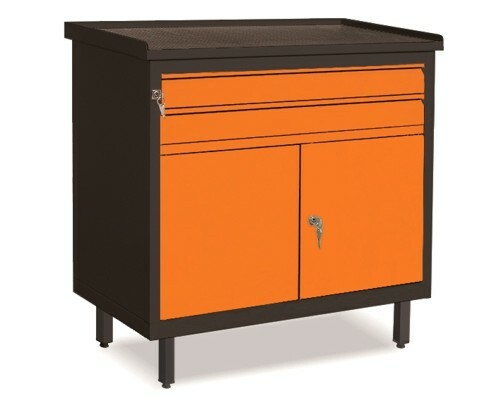 Classic cabinets are metal, modern, centrally locked workshop furniture - equipped with cylindrical lock in Master system and set of two keys (Master system allows for opening all locks from one series with one Master key, master key has to be ordered separately). Cabinets from all furniture from Classic Line are powder coated (before painting are processed number of times to achieve better parameters such as better mechanical and anti-corrosion cover.) 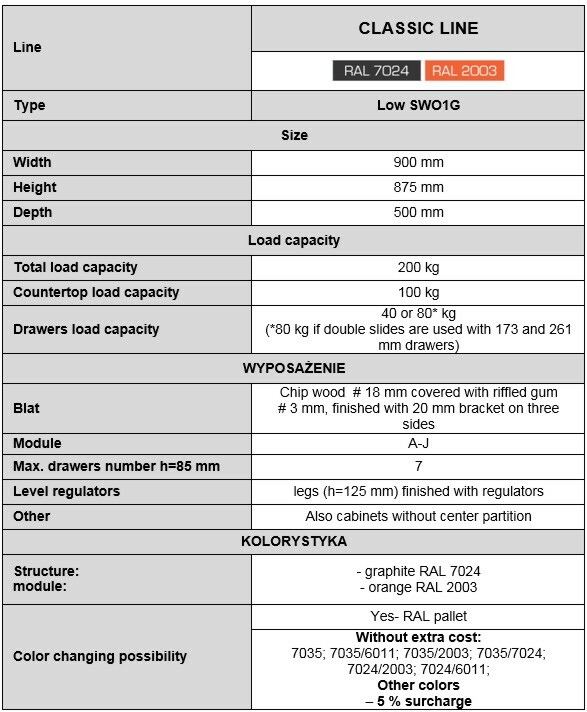 in colours: body RAL 7024, drawers fronts and doors RAL 2003. 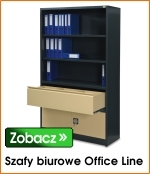 To our Classic workshop cabinets you can buy many accessories, ex. superstructures, various countertop covers, locksmith vice, dividers and drawer linnings.